For general pressure washing: Dilute 4 oz. per gallon for general cleaning. Dilute 32 oz. per gallon for heavy duty cleaning. One gallon will cover about 1,500 sq. ft. Spray solution onto surface with a pump up sprayer, making sure to thoroughly coat the area. Agitate and allow to dwell for as long as possible to allow for improved performance. Rinse with water at desired pressure. For boosting floor stripping: Dilute 4 - 8 oz. per 5 gallons of RTU floor stripper. Rinse floor thoroughly before applying any coatings. 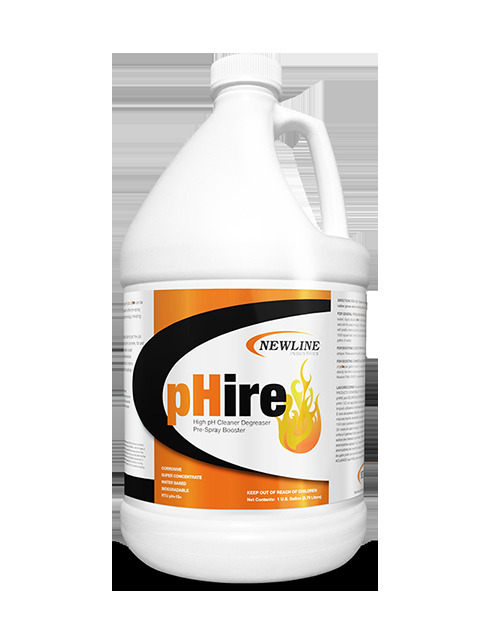 For boosting commercial carpet pre-sprays: Dilute 0.5 - 2 oz. per gallon of RTU pre-spray for pump/electric sprayers. Dilute 4 - 8 oz. per 5 quarts of RTU pre-spray for injection sprayers.